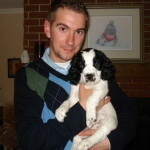 The quickest and most advised way to train your new puppy is using the crate training method. Dogs in the wild would be used to having a small safe place to themselves, which is why crate training works so well. This method is advised by vets and training specialists. To find good quality cheap crates for your puppy, click here! 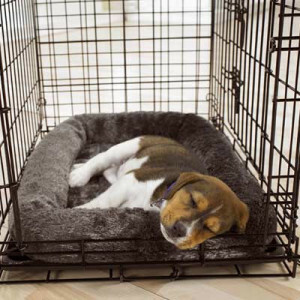 To choose a crate, you want your puppy/dog to be able to stand up, turn around, and lay down comfortably. 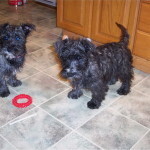 Not much bigger, so they will not use the extra space for going to the bathroom while crate training. 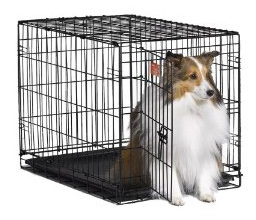 If you do not wish to buy a second crate when the dog is full grown, buy one that you can block off the excess space in the beginning, and let the puppy grow into it. Make sure you place the crate in a quiet area of your home, this will be the safe haven for the puppy. Never use the crate for punishment, instead it is for peaceful quiet time for the dog. Never allow children into the crate as this is where the dog will want to go to be by himself, away from children and/or noise. To begin the crate training process, place a blanket and safe puppy toy in the crate, as well as a treat the dog is familiar with (if using treats) to entice the puppy into this new space. Leave the door open, so they can see it is not a thing to be feared. At night, you will want to close the door to ensure the safety of the dog when you are not around. Never return to check on the dog if they cry in the night while you are crate training; you will only prolong any anxiety the dog may be having. 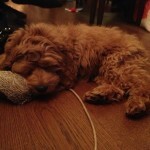 Instead, make sure the puppy is safe in his space when you leave, and you will know he will be safe through the night. Once the dog is safely crate training through the night, you will want to let him out too pee first thing when you get up in the morning. Young puppies can only hold it for so long, so make sure he is allowed to eliminate late enough in the evening, and early enough in the morning to prevent accidents through the crate training period. 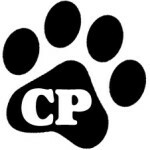 Be prepared for an accident the first night, as they may have never experienced crate training and were not sure what to expect. They will do their best to keep their space clean, so they may be quite upset with this accident! It shouldn’t happen again after the first night if the crate is the proper size. 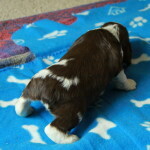 After the initial morning pee, give the puppy lots of praise for his duties! Many dogs are easily trained with praise alone, and treats are not necessary for most dogs during crate training. After a little play time, offer the puppy their breakfast. Give them 20-30 minutes to eat and drink, then take the food away, and take them back outside for more elimination. Most dogs will need to relieve themselves fairly quickly after eating and drinking as their body and systems are quite small! The more exercise the dog gets after eating, the quicker they will be relieved. 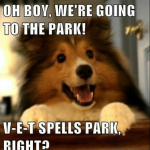 Again, praise the dog for their good job. Allow a couple of extra minutes of play time before going back inside, so they don’t equate going to the bathroom to the end of their fun! Puppies who are not fully finished crate training should be crated when they are not fully supervised to prevent accidents and speed the process of their crate training. Puppies will sleep much of of their first few months, so don’t be surprised with this. They are growing at incredible rates and need their sleep! 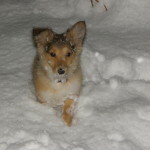 Repeat the process of outdoor elimination every time the puppy goes into or out during crate training. Many puppies will quickly pick up on this process. We have heard from many people that placing a puppy-safe bell on the designated door will allow the dog to let you know when they need to go! Our own family dog would rattle a noise maker we had on our back door and we could hear it around the house. This always let us know we needed to go immediately to let him out. Repeating this process will teach your dog when and where to go to the bathroom and make crate training easier for everyone. Once they are potty trained, you can continue with the dog crate if you wish. We have found our dogs many times during the day sleeping in the open crate, simply because it is all their own! It is not closed for them anymore, and they still enjoy it. Crates and crate training are not negative things when used properly. If you are not sure, do some research into crate training, and read from dog behaviour therapists and those with experience. In the end, the choice is yours. Always keep in mind what is best for your dog, and not necessarily your personal opinion. As much as a dog is meant to be part of your family, they are still dogs and have dog needs, which differ from human needs. Love them as your “child” but do what is best for them as a dog. Crate training is a great way to ensure the happiness of both your family and your dog! Check out our Complete Video Course on How to Train your puppy right the first time! 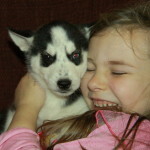 Our young family has been fostering puppies since 2007 and has enjoyed many special breeds and hybrid cross breeds. 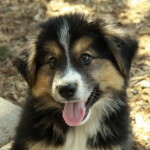 We simply provide a temporary home to puppies before they are adopted by their forever families. The puppies always enjoy the personal attention from our two children as well as the other dogs in our family, and they are occasionally spoiled even getting to put our children to bed! 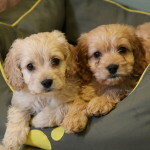 The puppies also love being able to play with our friends and their children who visit, and it’s always great for them to be exposed to so many different people at the ideal ages. 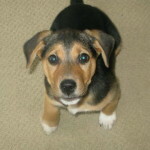 We have 3 dogs of our own: - Buster, a Boston Terrier x Beagle (also known as a Boggle). 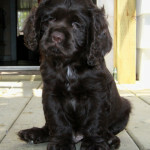 - Georgia, a pure bred silky black American Cocker Spaniel. - Dakota, a Landseer Newfoundland dog (Newfie). Adorable Border Collie X – Penny! Are you looking for a cute puppy? We have puppies for sale. We are located in Hamilton, Ontario. 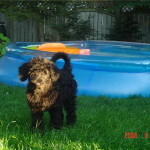 We have Cockapoo and Goldendoodle puppies for sale.